Fresh water as a precious resource. A young Kenyan scientist has made this her theme – one that has accompanied her through her scientific career. We all have dreams. Some just remain a vision. However, with a lot of perseverance and a little luck, others can become reality. Although Lydia Olaka's dream was relatively modest, its realization was nevertheless very uncertain. As a little girl, she loved uniforms. She used to watch with respect the policemen in their smart khaki dress who patrolled the streets of Kakamega, the city in western Kenya where she lived with her parents and four siblings. She was also full of admiration for the doctors in their white gowns who helped her when she was ill. Olaka had made up her mind: "One day I want to have a responsible position, too – and wear a uniform." Today, Lydia Olaka – 40 years old, cheerful eyes, an infectious smile – is a successful scientist. She was driven by a curiosity which she pursued with determination from an early age. When she was just ten years old she often visited the library of Kakamega, where she searched for books on the anatomy of the human body or unsolved mysteries of the history of the earth. "I wanted to know such a lot and how so many things work," says Olaka. Later, as a student of geology at the University of Nairobi, she became interested in issues surrounding the groundwater in the region neighboring Lake Naivasha in southwestern Kenya. It is the highest altitude lake in the eastern arm of the Kenya Rift Valley floor, surrounded by high escarpments and volcanoes, and the only source of fresh water in the Central Kenya Rift region and is connected to the groundwater. 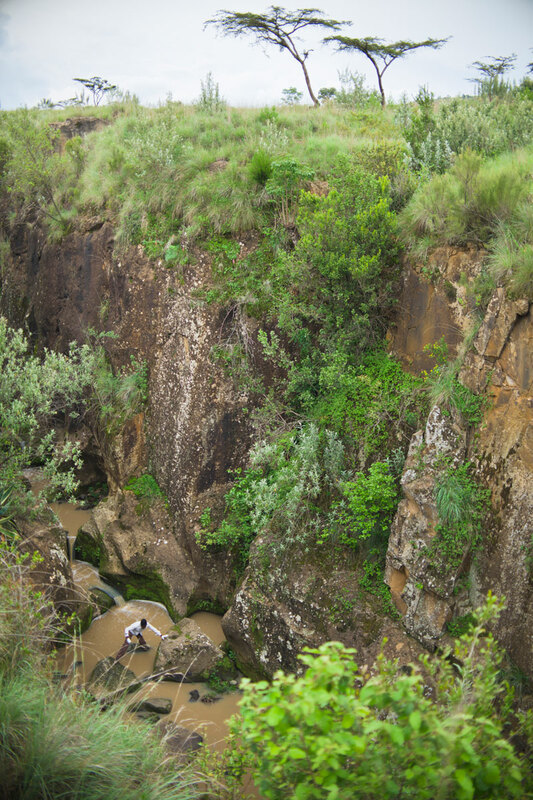 The Malewa and Gigil rivers feed the lake with runoff from the high escarpments; rain rarely falls here, but when it does it really pours down. Olaka recalls, "Among other things, I wanted to find out where the rainwater seeps into the ground, where and how it flows and how extensive the groundwater aquifers are". And every time she visited the area, people asked about the quality of the water: She had found a stimulating and important topic. The young geologist continued her research and came across a question which had previously been left unanswered: Could it be that the groundwater is contaminated by natural substances in the surrounding rock and, if so, what effect does this have on the health of the local inhabitants? "People get their food and water from the surrounding area," Olaka explains. "The volcanic rocks can be enriched with harmful toxicants such as lead or fluoride. These are transferred into the groundwater as well as into the water of rivers and lakes and into the air, and they are harmful to human health." The unexplored connections between medicine and geology were the stuff to increase the scientist’s curiosity. At the time, though, she saw no possibility to pursue such questions: She lacked the necessary laboratory resources and the means to conduct her own research. I didn't know how this could be made possible. She eventually discovered an opportunity to realize her dream of becoming a successful scientist on the Internet. Olaka wasted no time and applied immediately for the scholarship offered by the German Academic Exchange Service – and luck was on her side. She was able to come to Germany and work on her doctorate at the Institute of Earth and Environmental Sciences at Potsdam University. Her topic? The sensitivity of East African lakes to climate change. Again, the Internet provided the solution. On the website of the Volkswagen Foundation, Olaka discovered the funding initiative "Knowledge for Tomorrow – Cooperative Research Projects in Sub-Saharan Africa", a program designed to open up perspectives for young African scientists in their home countries. “The aim is to support committed young academics in their independent research and to enable them to pursue a career in science," explains Hartmut Stützel. Stützel, 64 years old, is professor at the Institute for Horticultural Production Systems at Leibniz Universität Hannover. He is also coordinator of the thematic call "Resources, their Dynamics and Sustainability – Capacity-Development in Comparative and Integrated Approaches" in the frame of the Volkswagen Foundation's Africa Initiative and as such the contact person for the fellows supported in this funding scheme. 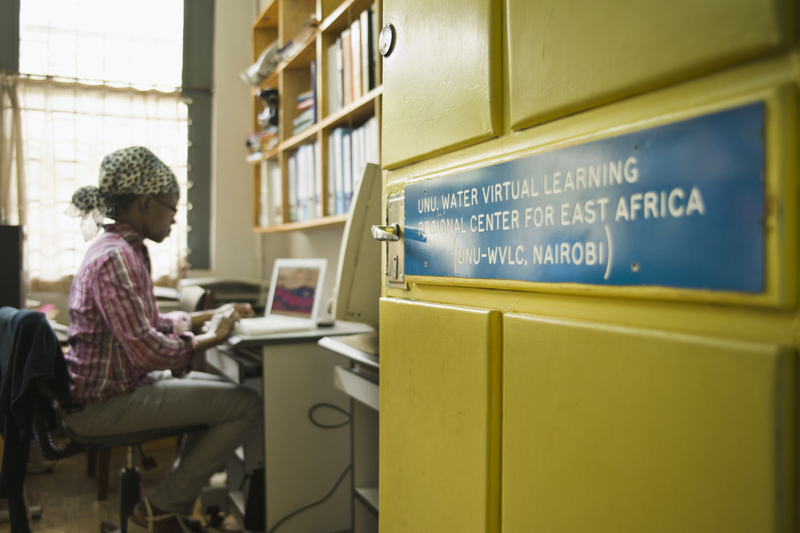 In 2010, Lydia Olaka lost no time in applying with her project idea on groundwater issues in Kenya. "I didn’t think I had much of a chance," she remembers. 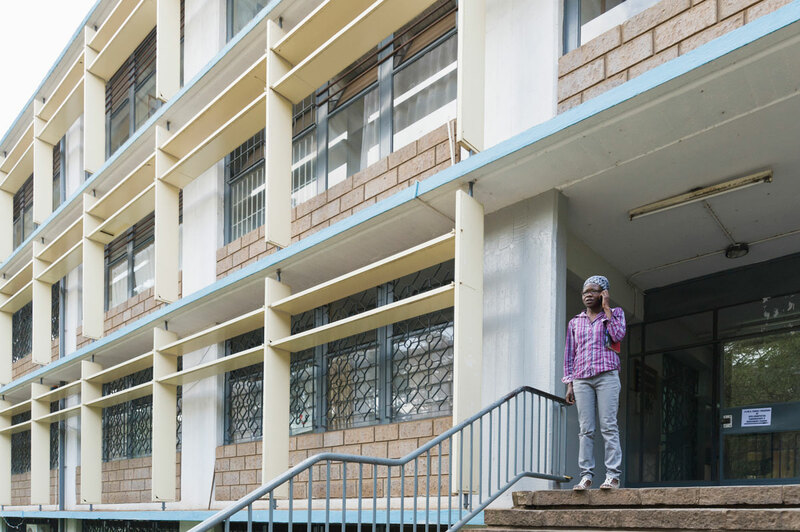 "I had only just finished my doctorate; I didn't have a job at the university in Nairobi – or anywhere else, for that matter." She was at the very beginning as a researcher, but she had already performed well and had a promising research idea – making her an ideal candidate. "The initiative enables young people with potential to acquire the fundamental prerequisites for an independent research career in Africa," says Stützel. For aspiring young scientists, this means the very possibility to do research in the first place. Many African universities are poorly equipped as well as understaffed, and the laboratories are short of materials and equipment. "Many African systems are traditionally very hierarchical; the hurdles for independent research are often insurmountable, and money is scarce," says the coordinator. "Many promising young scientists therefore give up the idea of doing research completely and turn to teaching instead." The Volkswagen Foundation is unable to solve the structural problems facing tertiary education in Africa. However, it can make a useful contribution towards making talented young scientists in Africa more internationally competitive. Over the medium term, their expertise can then help to advance development of the scientific structures in their countries. In order to achieve these goals, the Volkswagen Foundation has developed a three-stage model for career promotion. 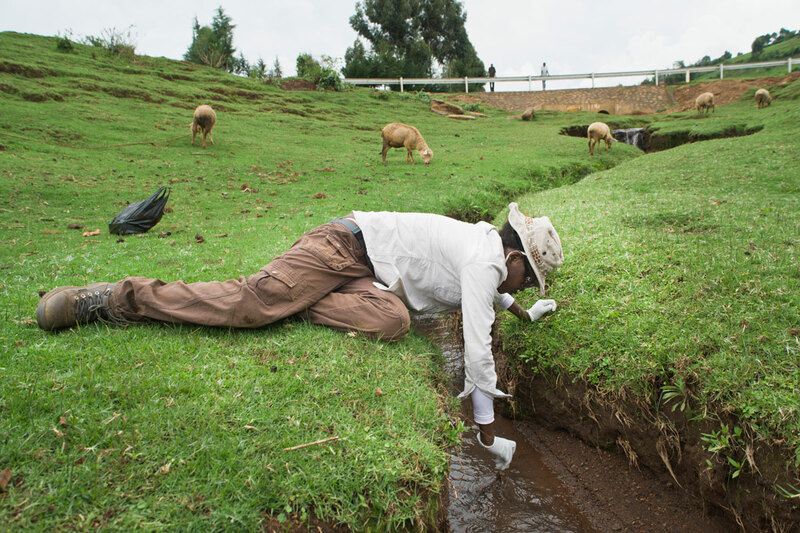 Together with researchers at the University of Potsdam’s Institute of Earth and Environmental Sciences, the Universities of Nairobi and Addis Ababa and the Swiss Federal Institute of Technology Zurich, Lydia Olaka was initially involved as a Junior Fellow in a cooperation project with the title "Determining the susceptibility of groundwater to climate change and contamination in the central rift of Kenya". 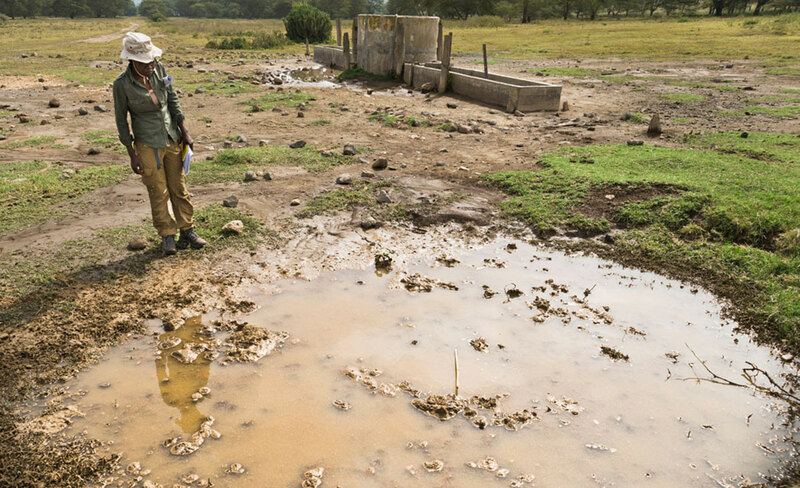 This enabled her to continue her work on groundwater in the region around Lake Naivasha. The area is also home to the Maasai people. Here they live in their huts, grow corn and raise cattle. They water their cattle and irrigate the soil with water from Lake Naivasha. 30 years ago they had free access to the lake, but today this is only possible in two places: The space around the lake is taken up by huge greenhouses in which entrepreneurs grow roses for the European market. The large amount of water consumed in the flourishing business of flower growing is taken from the lake, which causes major problems with regard to the water supply for humans and animals, especially in dry periods. 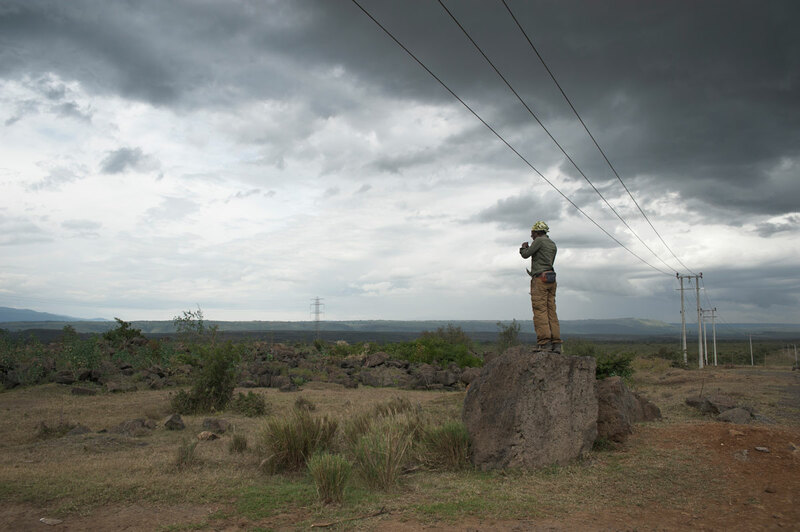 The entrepreneurs claim the fertile area around the lake for themselves, and the Maasai have to make detours of up to 50 kilometers to get to water. On top of this there are the consequences of climate change: Temperatures have been rising for years, rainfall is increasingly seldom, and one drought follows another. The water in the region is becoming increasingly scarce and the once fertile soils and wells used by the Maasai are going dry. 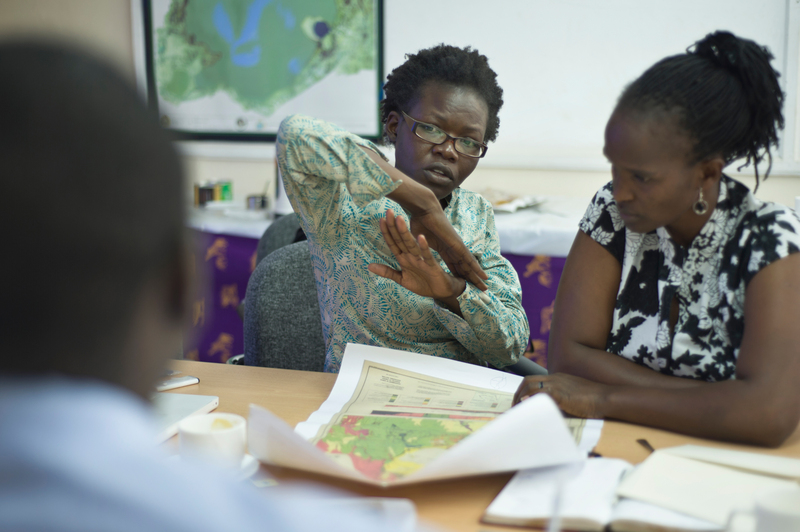 Following her research on the groundwater situation, Olaka wanted to do something to help. So she started to look for usable sources of subterranean water. The water from the lake has no above-ground outlet and the water flows underground. The geologist asked herself: Where and how does the water from the lake flow through the subsoil? And how can it be accessed? She installed water pumps in cattle watering troughs, shallow springs, wells and boreholes up to 200 meters deep. 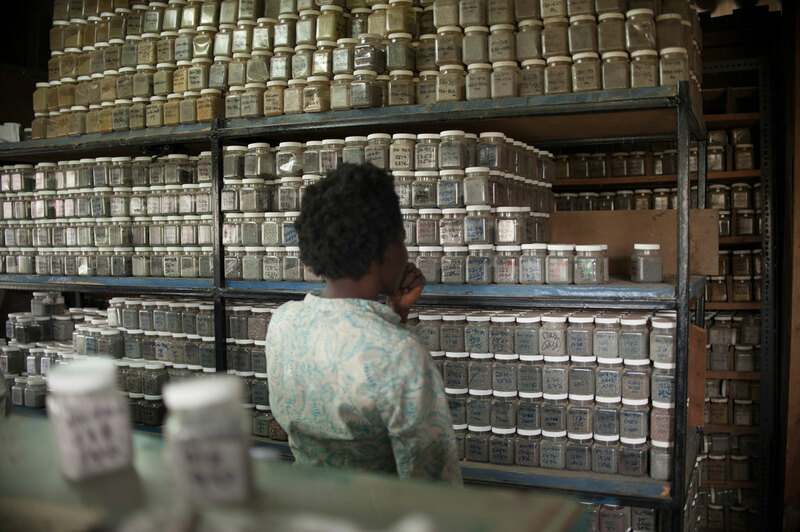 She analyzed some of the water samples directly in the laboratory at the Institute of Geology at the University of Nairobi. Other samples were frozen for more complex investigations and sent to the German Research Center for Geosciences in Potsdam to be examined by the geochemists there. It was then once again her job to draw conclusions from the data gained. "The composition of the stable isotopes is particularly important," explains Olaka. "The isotope ratio of groundwater can be used to identify infiltration areas, i.e. groundwater recharge areas." The young geologist scrutinized the groundwater values and combined them with current climate data from surrounding weather stations. In this way, Olaka was able to understand the weather-dependent fluctuations in groundwater capacities and predict the long-term availability for various climate scenarios. Lydia Olaka was also successful in applying for the second stage of foundation funding and was able to further develop her research questions as a senior fellow. She now focused on the pollution of groundwater with fertilizers, pesticides and heavy metals, an important issue in the increasing use of chemicals on the part of commercial agriculture around Lake Naivasha. This time, Olaka's main objective was to determine just how polluted the groundwater had become and what were the subsequent risks to health. Now in charge of her own budget, she was completely free to design and implement the project according to her own ideas. Each of the three funding stages lasted three years. For the first six years, Olaka collected and analyzed countless water samples, flew back and forth between Kenya and Germany twice a year, participated in workshops on project planning, scientific work and publishing, attended conferences in the USA, India, Cameroon, Madagascar and South Africa and met with colleagues from all over the world. In these six years, she advanced from being an unknown doctoral student to a respected scientist. Only a few months after being accepted as a Junior Fellow, she also received her first position as a tutor at the University of Nairobi in 2011. Two years later she was promoted to the position of lecturer. "The grant really changed my life," says Olaka. She was able to concentrate on her research idea, conduct completely independent research in the field and publish the results. "I couldn't have done it without such support," she says. "Analyzing a water sample in the lab alone costs 400 euro." Today, she employs young scientists herself and trains Master's students. The funding initiative " Knowledge for Tomorrow – Cooperative Research Projects in Sub-Saharan Africa" aims at the development and sustainable reinforcement of research in Sub-Saharan Africa and is open to all disciplines.